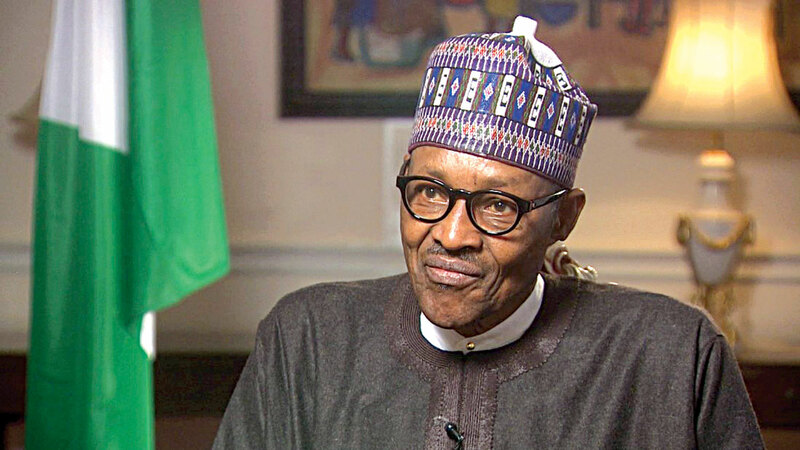 President Muhammadu Buhari has urged the Nigerian media to expose corrupt governors, local government chairmen and other office holders who embezzle public funds meant to improve the lot of their people. He charged the local governments to come together and speak louder if their statutory allocations are not given to them by their state governors. President Buhari gave the charge when he and Vice President Yemi Osinbajo spoke yesterday at a televised two-hour town-hall programme titled ‘The Candidates’ transmitted live by The Guardian TV. “It was uncovered that some local government chairmen are to sign for allocation from the Federal Government, and that only 25 percent is being given to them while the rest will be kept by those governors. I now want the press to investigate this and expose these corrupt governors,” the president said. 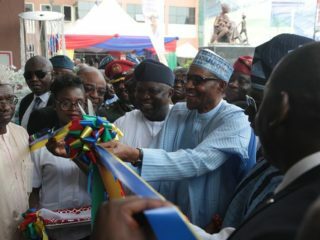 Buhari, who is seeking reelection on the platform of the All Progressives Congress (APC), assured Nigerians that recovered funds from looters are safe in the Treasury Single Account (TSA) and would be used for infrastructural development. 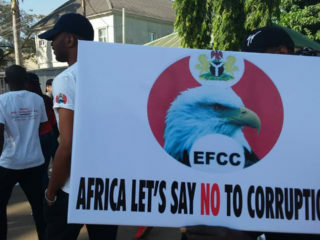 When the anchor person, Kadaria Ahmed, alleged that the fight against corruption by his administration is one-sided, “citing Lawal Babachir and Babatunde Fashola with indictment and petition from the Economic and financial Crimes Commission (EFCC)”, the president said his government would not prosecute people without following due process, unlike during his military days. He promised that his government would continue to fight corruption, irrespective of who is involved. Osinbajo said the herders/farmers clashes were getting worse due to desertification. “States are expected to build earth dams, veterinaries in the interim for herders. Ranches are long-term projects and they would have to be privately owned. “The president has his cows on his farm. 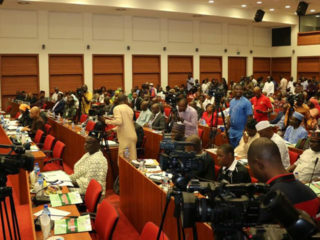 The Federal Government cannot determine what happens in any state, because each state passes laws on its land, the reason the National Economic Committee was set up and to which land has been given for grazing purposes. We have already started addressing the issue,” he added.